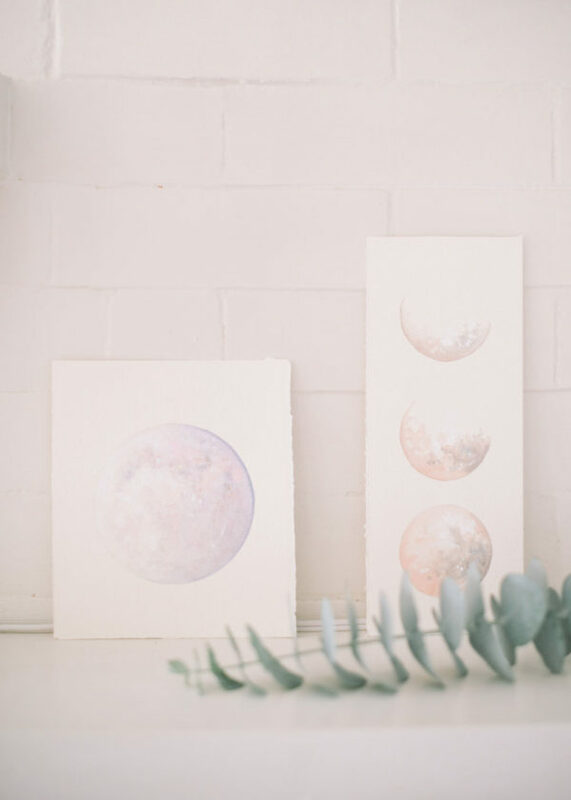 In this workshop, Katelyn demonstrates intuition-based painting with the wonderful subject of the phases of the moon. 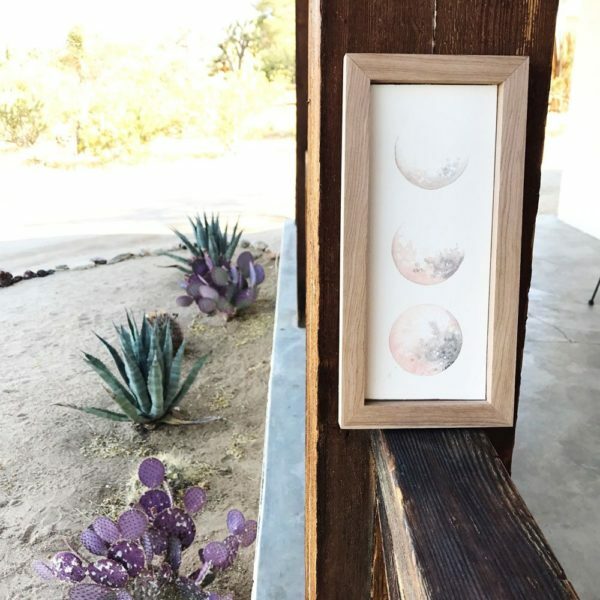 We explore painting moon phases in a variety of color ways and styles, Katelyn blends watercolor and acrylics to achieve the ethereal style she’s most known for and shares her application technique in detail. 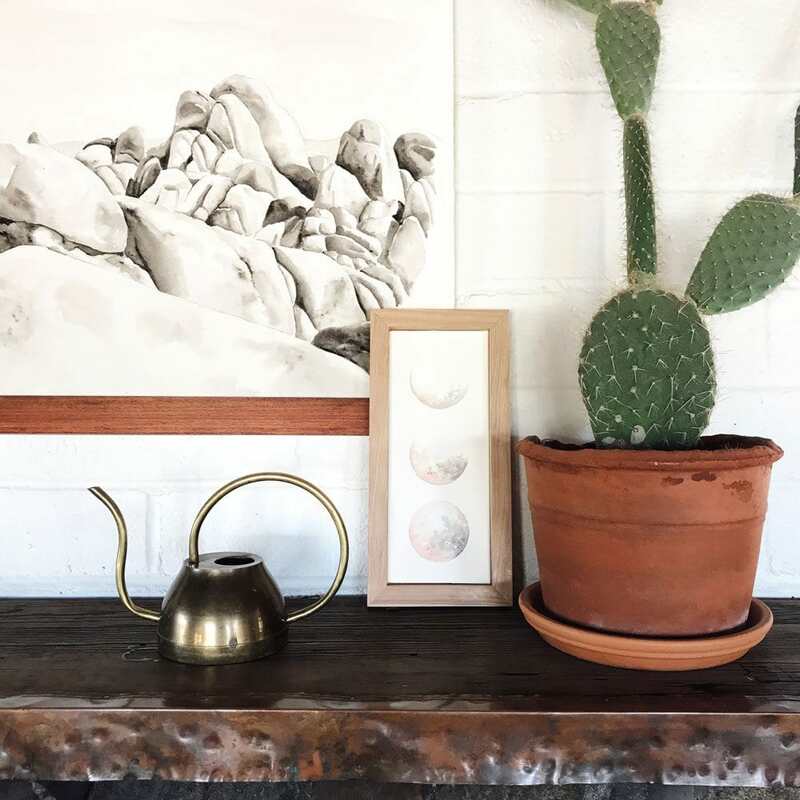 Katelyn shares with us that she is inspired by all things raw, earthy and organic in nature. 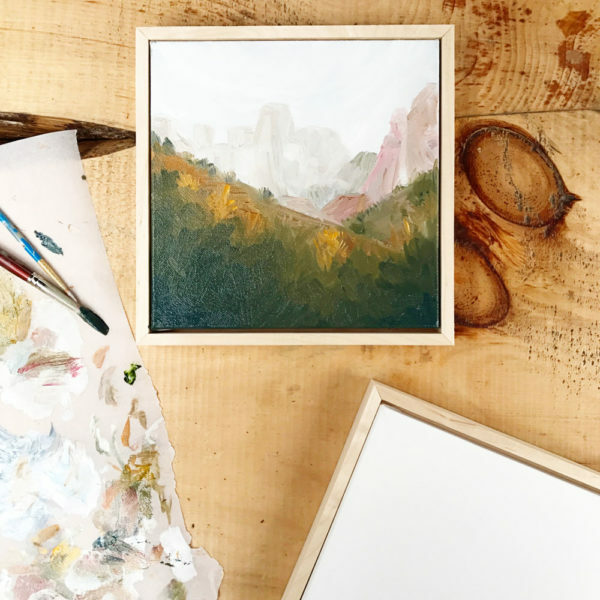 Her paintings are a reflection of the wanderlust inside of her as well as a deep appreciation for just how magical, intricate and beautiful this world truly is. 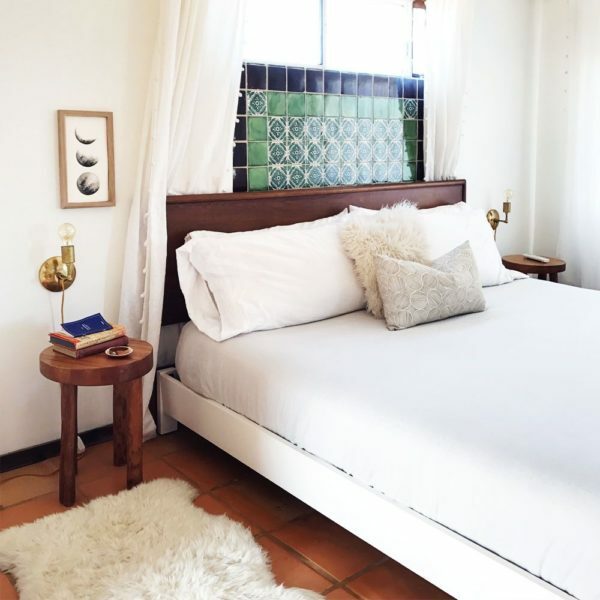 Her aesthetic aim is airy and calming. 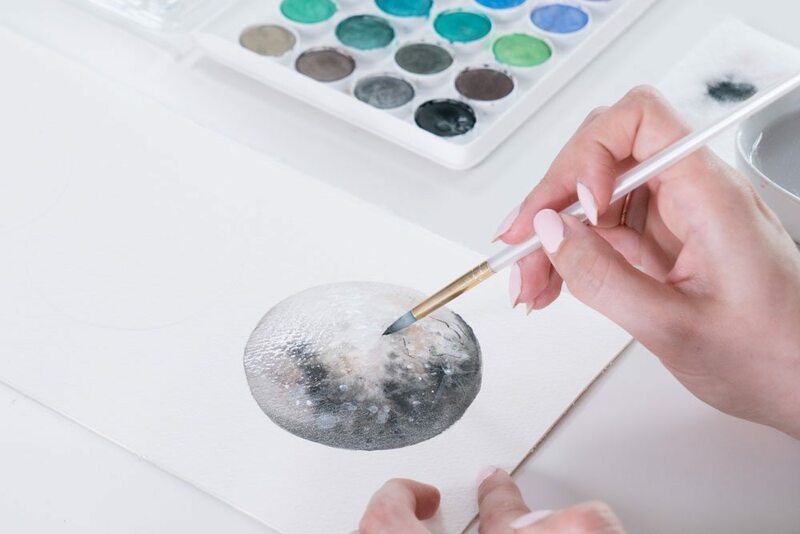 She shares with us that through her artwork she desires to inspire individuals to explore more, appreciate more – this workshop is an exercise in practicing intuition-based creativity as well as the discovery of a brand new mixed media technique with a wonderful natural subject matter. Our small business collaboration is helping us to deliver custom, handmade wooden frames that compliment a finished moon phases piece for the home. 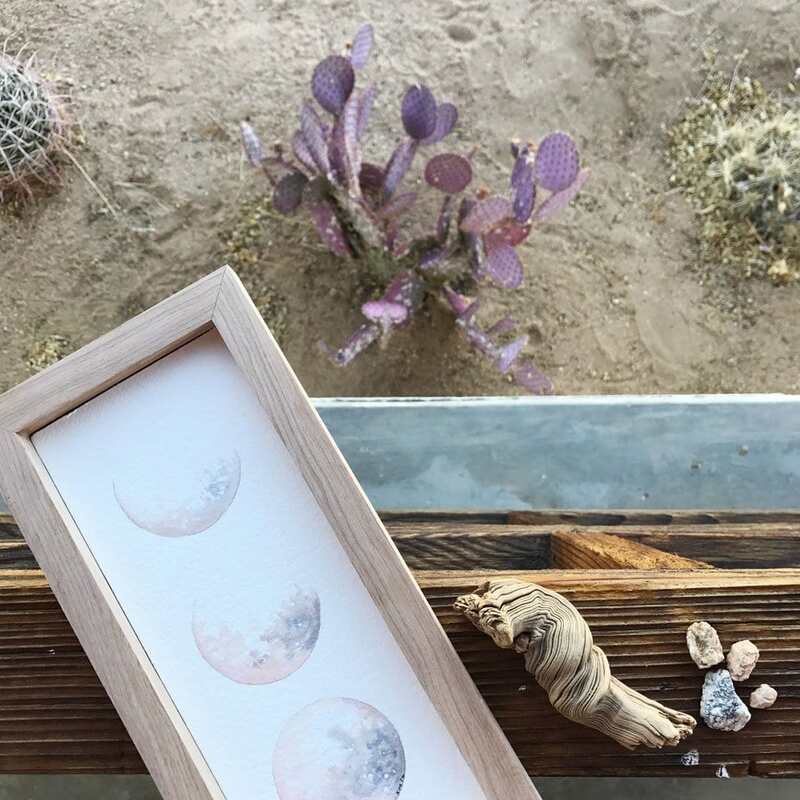 Together with Katelyn we’ve designed a uniquely sized wood frame just for this project, each is handmade in Southern California by wood working craftsman David Ladisa. 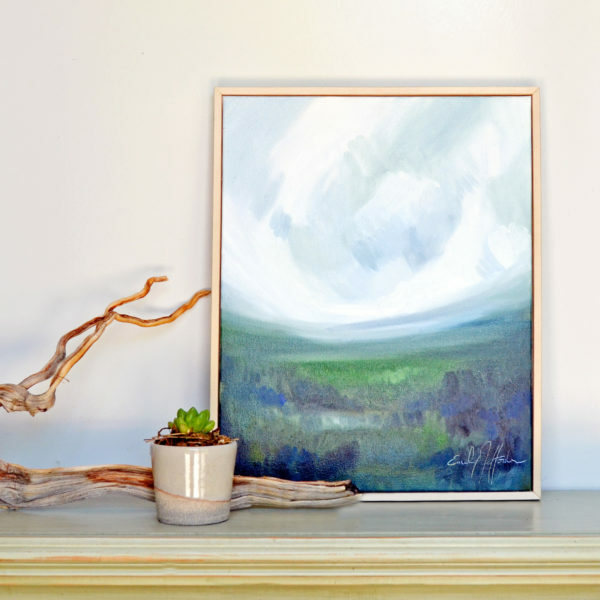 In its natural state the frame pairs so nicely with our sturdy watercolor paper, since each frame is 100% wood they can also be stained and customized as well. a custom, handmade wooden frame to accompany a finished 4×10″ moon phases painting. 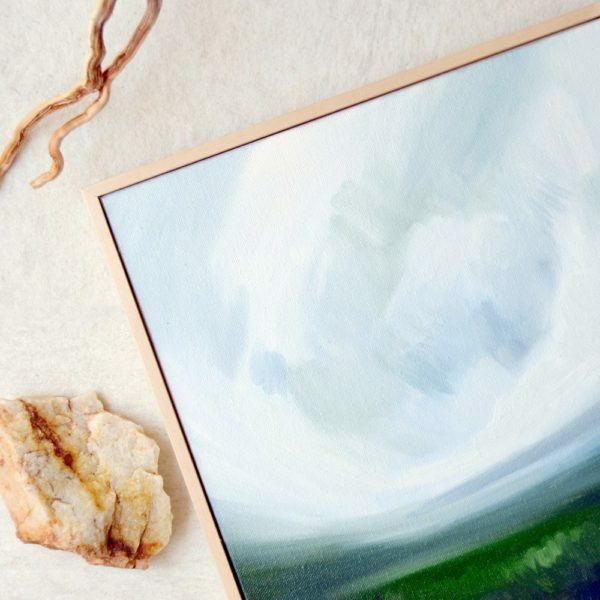 This frame nestles a piece of artwork so that it appears inset into the wood, we’ve omitted glass in the design so as to show off the unique textures of each finished mixed media piece. 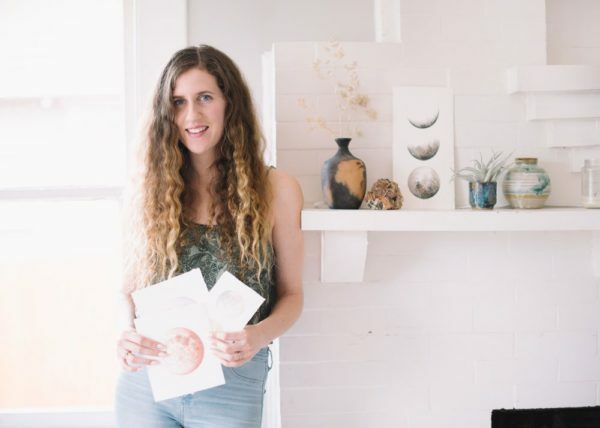 Katelyn Morse is an artist based in the rolling hills and forests of Nova Scotia, Canada and joins us to bring a thoughtful exploration of the intuitive process of creativity. 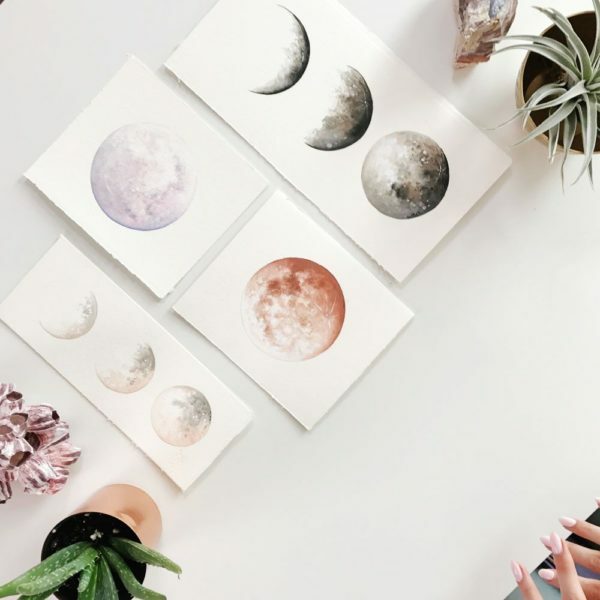 Katelyn describes this workshop as ‘Intuitive Phases of the Moon’ because she shares with us that what is MOST important in choosing colors, placement of colors, layout, design and overall aesthetic is to rely on our intuition. 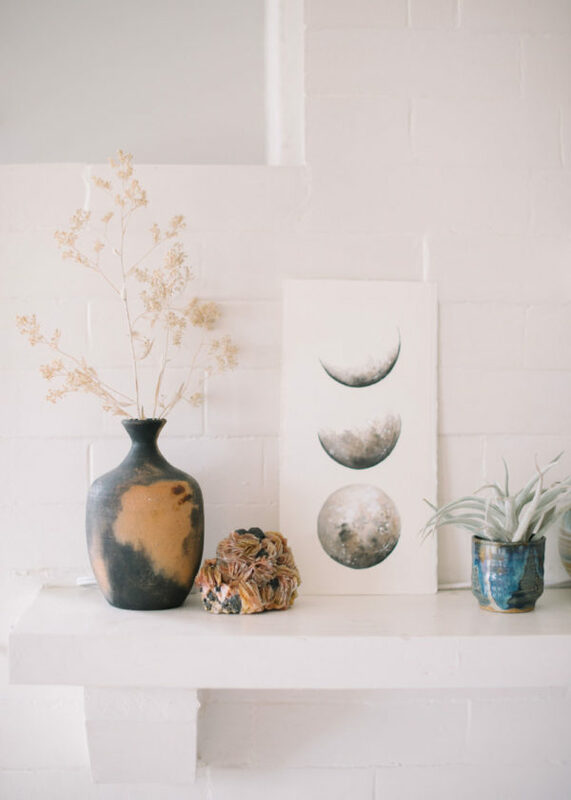 Our creativity does its best work when it functions intuitively and this is the basis of all of her beautiful work. 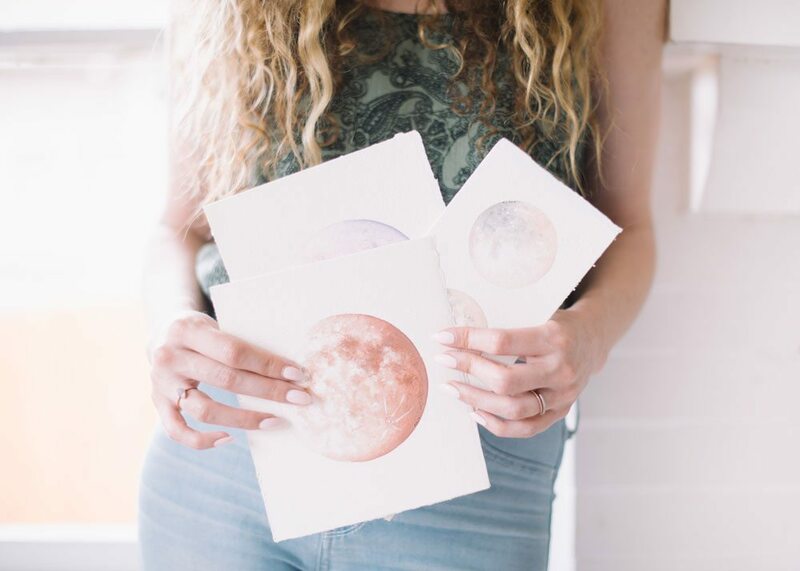 Our intuition can spark and guide our creativity if we let it! 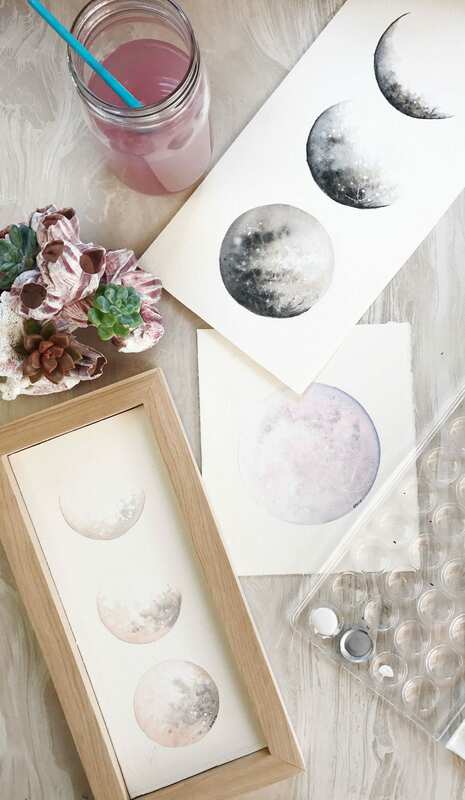 Katelyn is most known for her ethereal depictions of nature and specifically the moon. 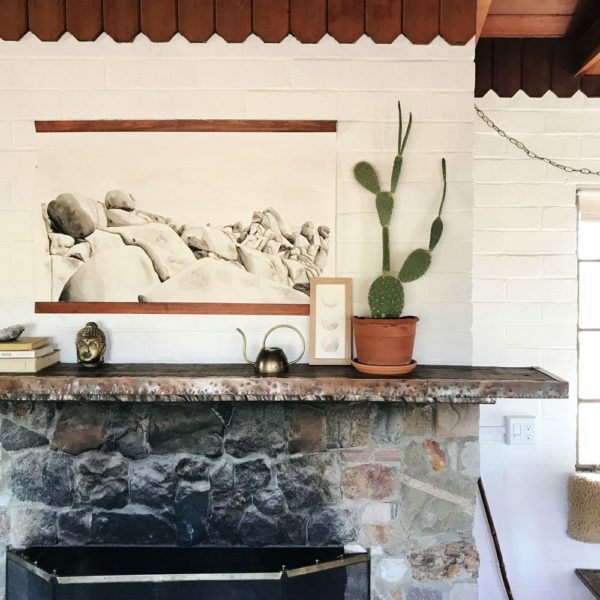 In this workshop she shares with us how she builds her lunar phase paintings from the ground up in her own intuitive style. We can’t wait to see how you are inspired to explore your own creativity! Continue to learn more through The Crafter’s Box Instagram account where we’ll share more details daily.